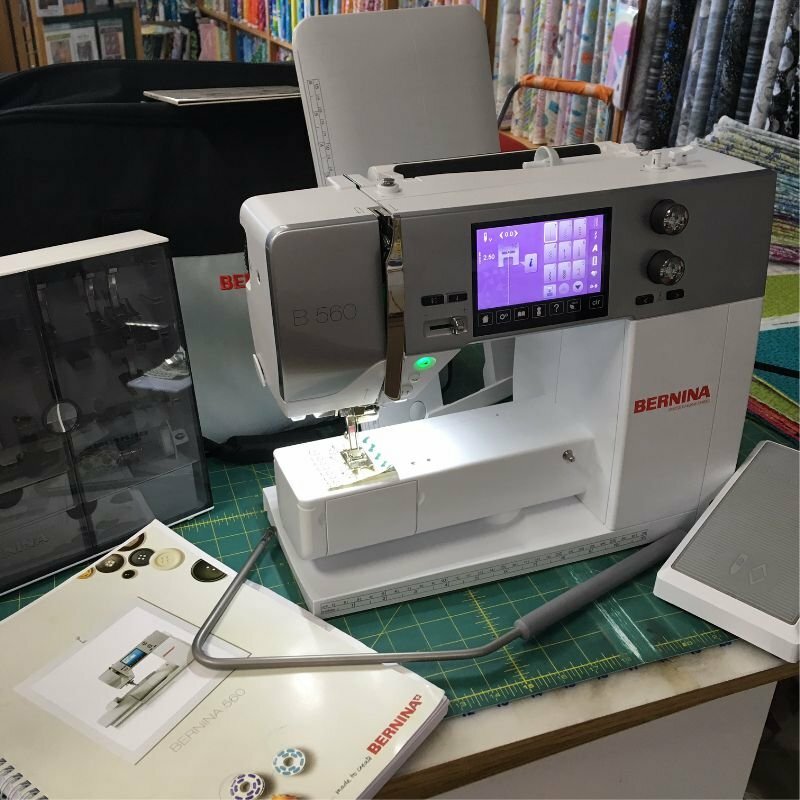 This pre-Loved Bernina 560 was originally purchased in March 2016. The retail price at the time was $ 3399. It features lots of 9mm wide stitches, a thread cutter, knee lifter, and comes with a lot of presser feet and accessories. It is ready for the optional embroidery module and ready for the optional Bernina Stitch Regulator (BSR). Ask us for special pricing on these items if you're interested in upgrading this machine! It has been freshly serviced and is ready to go to a new home.